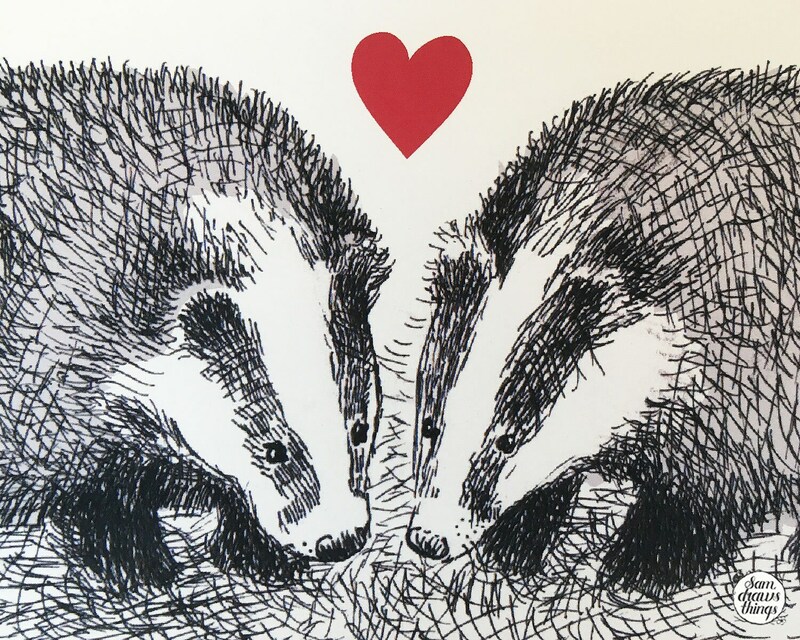 Two little badgers snuffle happily at the ground, side by side. They are possibly on the look out for some peanuts, one of their favourite treats. 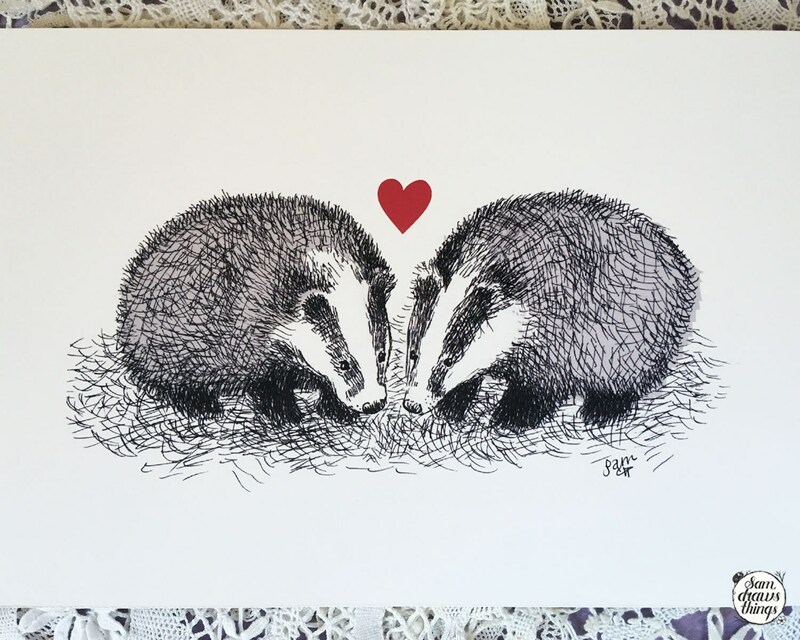 Badgers don't hibernate, but they do pile on the pounds a bit in Autumn and slow down when it gets colder. They hide in their woodland setts underground to keep cosy. It sounds pretty perfect to me! 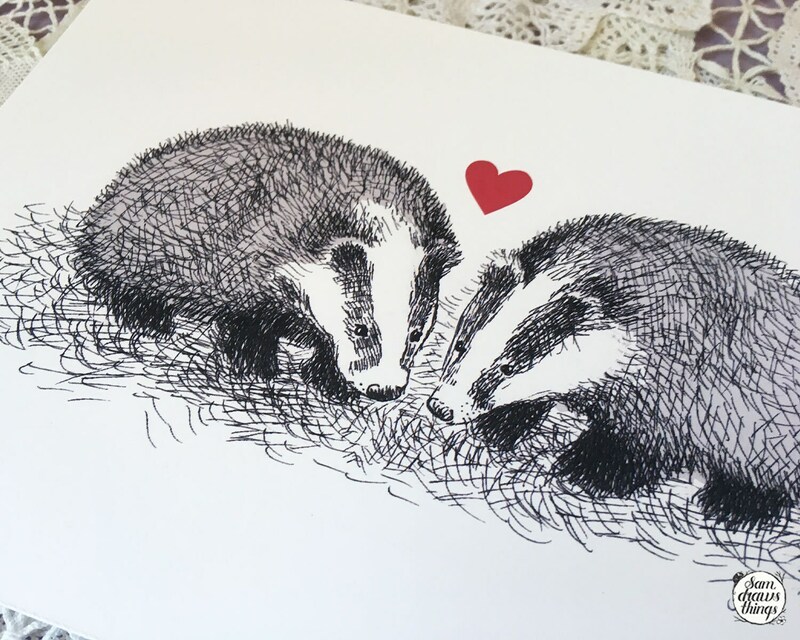 The two badgers have been carefully drawn in pen and ink, and I've added a little bit of colour digitally, including a little red heart to a pop of colour to this black and white print. 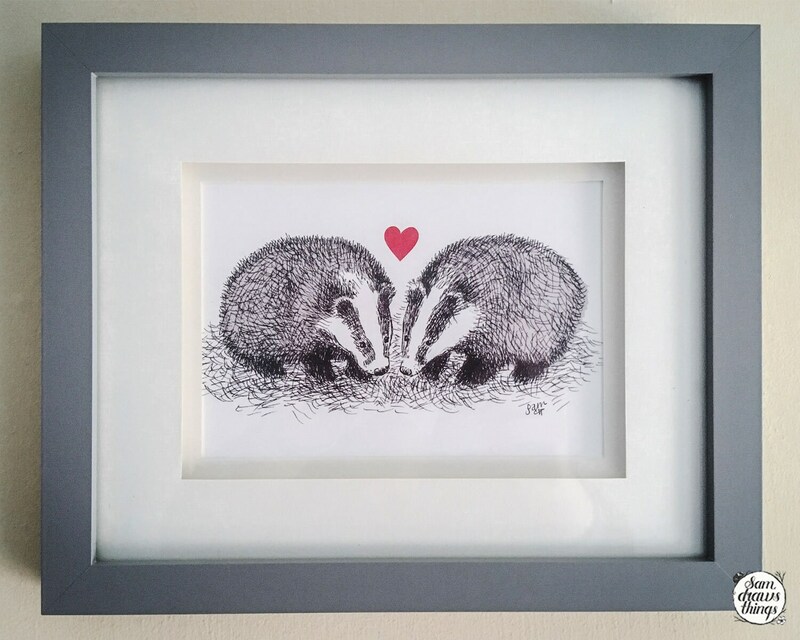 This listing is for a signed A5 print on warm white archival paper, taken from my original illustration. It is unmounted, and comes safely backed on coloured recycled card, wrapped in biodegradable cellophane to protect it. It's pretty enough to be given as a gift as it is, or for you to find the perfect frame.